**Motivated Sellers** Welcome, Home to 12 Glendale Street in Maynard. This Village Colonial Style home is nestled on a side street just outside of the center of town & everything Maynard has to offer. This home has 3 levels of living space with the first floor featuring a generously sized kitchen that leads to the dining room & a separate large living room, a full bath & hardwood floors throughout. The 2nd floor has a master bedroom with a large walk-in closet & another large bedroom as well as the second full bathroom. Then there is the third floor with two additional bedrooms. 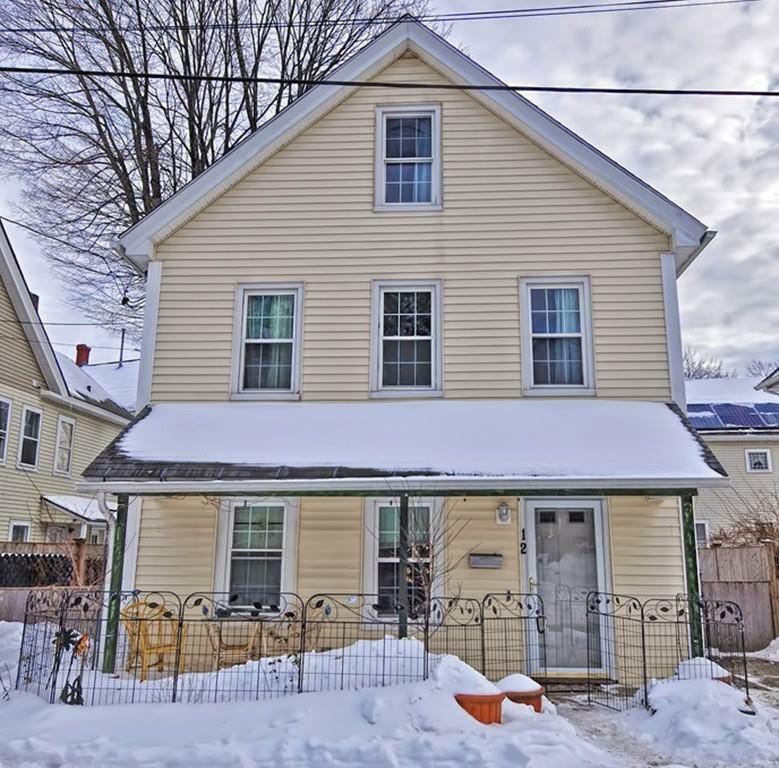 The outside offers a nice fenced in yard with a few garden areas & this home is very close to the thriving downtown area with the Fine Arts Theater, the Maynard public library, ArtSpace Maynard, 2 Microbreweries & so much more. The new Maynard Crossing is set to be completed in late 2019, so there are many new & exciting things happening in Maynard....don't miss out.